We recently learned of a new event taking place in our neck of the woods this year. Pisgah Brewing Company in Black Mountain will be hosting the First Annual WNC Highlands Celtic Festival, a brand new event, presented by Celtic Heritage Productions and endorsed as one of many local events that are part of the Blue Ridge Parkway’s 75th anniversary celebration. The Celtic Festival, taking place June 18-19, will feature two days of live musical performances, including the Montreat Scottish Pipers and Drums, Celtic dance demonstrations and heavy athletics. You’ll also be able to browse the wares of Celtic vendors and enjoy Celtic food and beverages. Plus, if you’re part of a Scottish clan, six of them will be convening at the festival. The cost for both days is just $10. 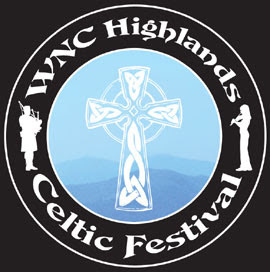 See a list of all bands (with links to their websites), all vendors, names of the Scottish clans that will be convening, and more at www.celticheritageproductions.com/wnc.htm.